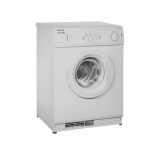 Auto Anti-Creasing This function provides ready-to-go laundry, since the gentle drum action separates the laundry and ensures that it remains crease-free. 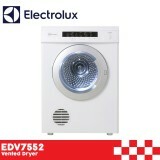 Child Lock The child lock option can be activated to prevent little fingers from playing around..
Elba EBD 602S Vented Dryer (6KG) Loading Capacity : 6 kg Temperature Control Silent Durability Reverse Tumble Anti-Crease Function Extendable Rear Vent Energy Efficiency Hi/Low Heat Button Continental Door P..
Electronic with LED Display 9 Programmes: Full Heat, Half Head and Cool Drying, Full Auto Sensor, Delay Timer, Reverse Tumbling Action, Integral Cool Down Cycle, Anti- Crease Function, Extendable Rear Vent, Stainless Steel Drum ..
Electrolux EDV7552 Sensor Dry Vented Dryer (7.5KG) Drying Technology : Vented Exhaust Hose : Required Auto Sensing : Yes Control : Press Buttons AutoSense Drying Selection : 6 levels (Extra Dry, Normal Dry, Iron Dry, Fast 40, Delicate, Refresh) Timer Drying ..
Benefits Less wrinkles, effortless elegance Alternate clockwise and anti-clockwise drum movements reduce clothes tangling and result in up to 32% less wrinkles*. 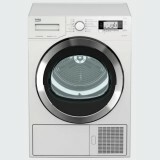 There's less need for ironing too, so fabrics look newer for longer. 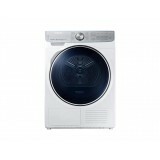 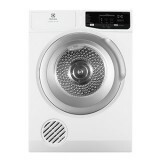 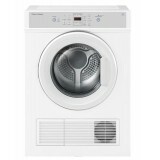 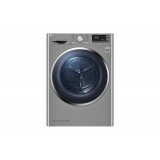 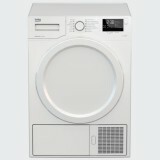 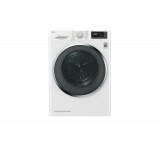 *32% less wrinkl..
Fisher & Paykel DE7060M1 Vented Dryer 7kg Vented Dryer This 7 kg dryer with tactile controls is designed to match our QuickSmart™ Top Loading washer. 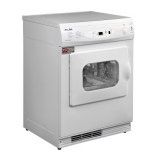 It has full reverse tumbling and comes with wall brackets and an inverted panel so it can be inverted ..
Twin Washer sold separately*** ..